Welcome to Budapest, where you will be met and transferred to your hotel. Spend free time today by relaxing, exploring, or strolling through the streets of Vienna. Classic Excursion: Take a guided sightseeing tour to see majestic Heroes’ Square and Budapest’s classic sites. 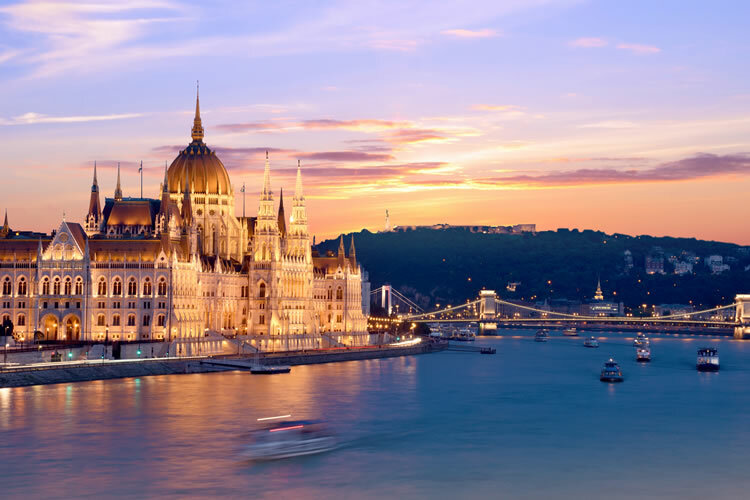 With plenty of free time this afternoon, experience the curative waters of Budapest’s thermal baths, or set out for a hike to explore the countryside on either side of the Danube. Take time to shop for treasures, including handcrafted embroidery, Herend porcelain, or Budapest’s best baked goods. This evening, secure your reservation for an optional dinner with a sumptuous Hungarian food–and–wine pairing. Classic Excursion: Join a guided sightseeing tour of Old Town’s cobblestone streets to Town Hall. Visit the Gothic halls of St Martin’s Cathedral –Kingdom of Hungary’s centuries-old coronation church. Active Excursion: Grab Nordic walking sticks and follow your Avalon Adventure Host on a Hike to Bratislava Castle. Classic Excursion: Join a morning guided sightseeing tour of Melk’s 11th-century Benedictine Abbey. Explore its frescoes, statues, library, and spectacular pipe organ in the monastery’s lofty perch above the Danube. Active Excursion: Join your Avalon Adventure Host for a hike up the hillside to castle ruins for breathtaking views. 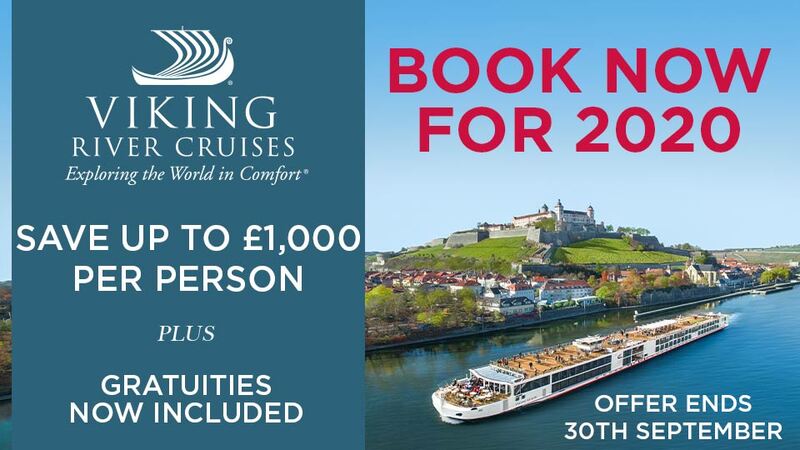 Take a relaxing break on the Sky Deck as you sail through awe–inspiring views through the Wachau Valley and the wine region surrounding Dürnstein. Spend free time in Dürnstein at your leisure or biking through the vineyards in the Wachau Valley. Classic Excursion: Venture into the Habsburg empire with a morning guided city tour of Vienna’s gilded landmarks. See the Imperial Palace complex–the winter residence of the Imperial Family, the historic Vienna Opera House and stunning St. Stephen’s Cathedral. Discovery Excursion: Take an early riser walking tour that includes breakfast at a Viennese café followed by an exclusive viewing of the Habsburg family’s private art collection at the Museum of Fine Arts–the perfect start to your stay in Vienna. Enjoy a free day to explore the city at your own pace. Choose a guided optional hiking or biking tour through the vineyards for an active city and countryside excursion or spend free time with a tram ride to discover the adventure, tradition, and Viennese charm of The Prater Amusement Park. Visit one of Vienna’s marvellous museums and sample authentic Austrian pastries in a local bakery. 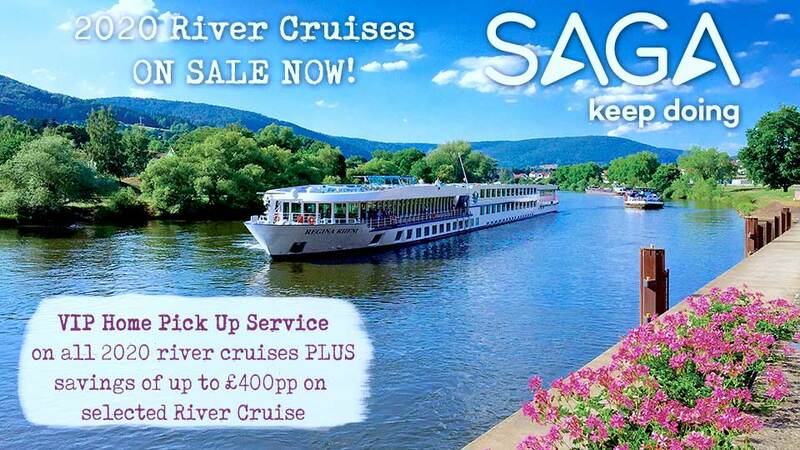 3 nights deluxe accommodation in a spacious stateroom.